India and Australia share the commonality of being democracies. While India is the largest democracy in the world, the Australian Parliament is the world’s sixth oldest continuous democracy. Both countries have bicameral legislatures and follow a three-tier system of governance. Thus, decentralisation is a concern that binds both nations. It is with this background that B.PAC- Bangalore Political Action Committee- organised an interactive session titled ‘The Governance Dialogue: Roles, Responsibilities and Decision-Making Process in a Decentralised Set Up’, on June 29, 2017. 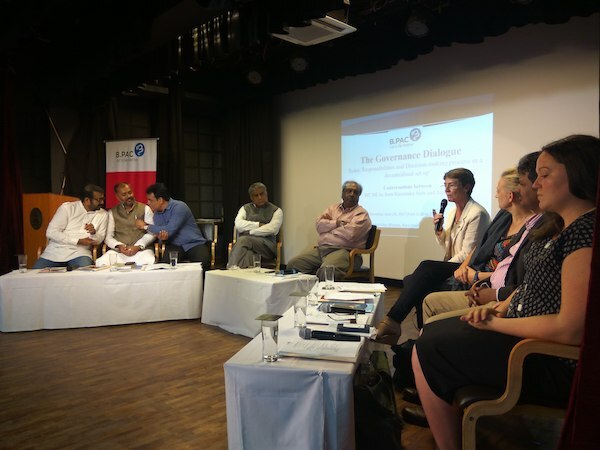 The panellists for the session included elected representatives from India and Australia- Dr. Sally Talbot, MLC; Ms. Kate Worden, MLA; Ms. Vicky Burrows, Director, Aboriginal Catholic Ministry; Mr. Palani Thevar, Deputy Convener of Multicultural Labor; Prof. M. V. Rajeev Gowda, MP; Dr. C. N. Ashwath Narayana, MLA; Mr. Tanveer Ahamed, National Spokesperson (JD-S) and Mr. N. A. Haris, MLA. The session was moderated by K. Jairaj, Secreatry, B.PAC. The starting point of the dialogue was the much debateable issue of compulsory voting. 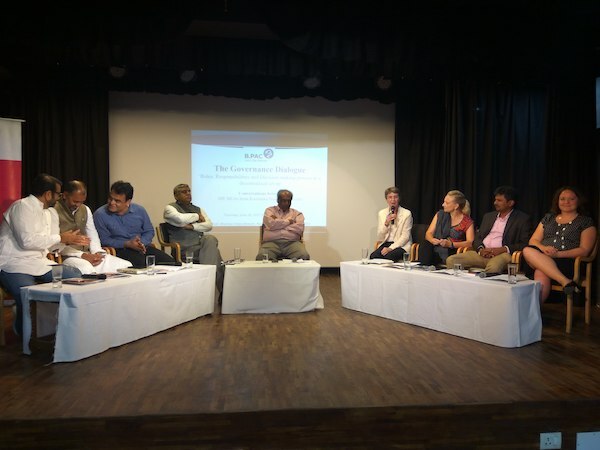 While the Australian representatives on the panel elaborated on the process and implementation of the existing system of compulsory voting in Australia, the Indian political representatives opined on the introduction of such a system in India. By and large, the latter agreed that while compulsory voting could be introduced in the country, it would be more effective to increase voter turnout by providing incentives to the electorate, thereby attracting them to their polling stations. Withdrawal of such incentives, on failure to vote, could also prove to be an effective way of tackling the problem of low voter turnout in India, as suggested by Dr. Narayan. Mr. Gowda and Ms. Worden, though sitting on different sides of the panel, emphasised that it is more important to observe who are the people, or which section of the community is not voting; this should further be probed for understanding causal factors of such a trend. It was also then brought to everybody’s knowledge that in Australia, registered voters who are not found in attendance during the polling process are charged with a significant fine. Considering the large disconnect between the people and their elected representatives in India, compulsory voting could be seen as a crucial tool in engaging the people in governance, a line of thought strongly supported by the Indian side of the panel. Dr. Talbot did however emphasise, that though the system of compulsory voting in Australia does result in around 89 per cent of eligible voters casting valid votes, the still existing system of paper and pencil ballot would more often than not, turn the election process into an exercise of filtering profanity. This being one of the concerns, along with others such as efficiency with the ballot system, Australia is looking to put into place, better systems of voting. 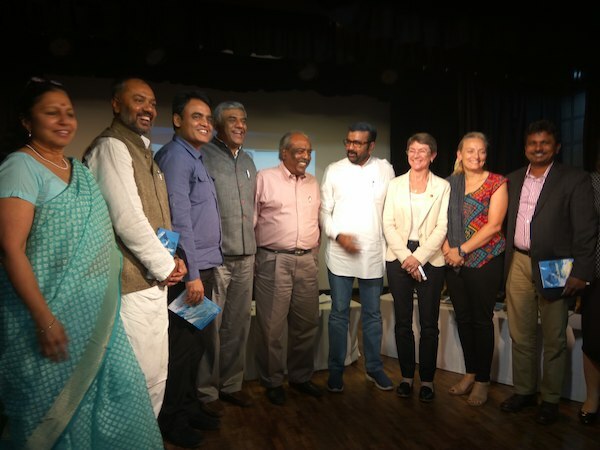 On being probed “How clean are elections in your country?”, representatives of both, India and Australia, answered with humour, accompanied by acceptance of ground realities. While Mr. Thevar did accept that Australian elections are not completely clean, he emphasised that they are much better than other systems around the world. The Indian side of the panel did not hold back on elaborating about the constant public conflicts among representatives of various political parties. It is essential that political leaders, immaterial of their ideological differences, conduct themselves in a respectable and dignified manner. It is more important to agree on things that are better for the progress of the country, than to agree on who is whose enemy in the system. The dialogue then moved into a discussion on women in politics. Dr. Talbot informed the audience that forty years ago, a big wave of feminist movement had swept Australia. It was assumed that as more and more women enter politics in the country, politics would become gentler and kinder. The reality saw this assumption being proved wrong. Women in Australian politics have to be as resilient and forceful in putting their points forward as any man ever had to be. What it has done though, and this is the beacon of hope that many of the current women political leaders holdout, is that as Australia got more women into politics, it has become easier for younger people, especially young women, to see a way of carving out a political life for themselves. This is also enfranchising young people in telling them that they truly do have a voice in the political system. Mr. Jairaj, Secretary of B.PAC and moderator for this dialogue, then moved the panel into a discussion on the crux of this dialogue- decentralisation and local governments. Dr. Talbot began by admitting that though the subject of local governance is not met with the same enthusiasm in Australia as in India, there exist over a hundred local government bodies in each state in Australia and if asked, people of Australia in all probability would say that they feel over-governed. The relations between people and their local governments are somewhat vexed, but have been generally handled quite effectively. The Australian representatives stated that the problem of overlapping of service delivery was the most significant one faced by these bodies, especially if different political parties rule at the first and second tier of government. The roles and responsibilities of local and state governments are very different, and they both act as checks and balances for each other, should either of them overstep their powers. In Australia, despite the occasional conflict of power among the state and local governments, it is by and large agreed that local governments cannot be done without, as they play a crucial role in maintaining the equilibrium of the nation’s politics. On the same issue, the Indian elected representatives opined that while local governments were definitely put into place in large numbers in India, the division of powers in the three tiers of government is not adequate. An intriguing addition to this was made by Dr. Narayan, when he stated, “With regard to local bodies, there is more devolution of responsibilities, not power.” This, as later explained, happens since there are always questions and doubts on the ability of the local governing bodies to manage the system. Because of the existence of varying ideologies, beliefs, and culture, uniform governance becomes extremely difficult. Also, while the roles and responsibilities of each level of government are clearly laid down, it is the accessibility of a government official that actually sees implementation of tasks. 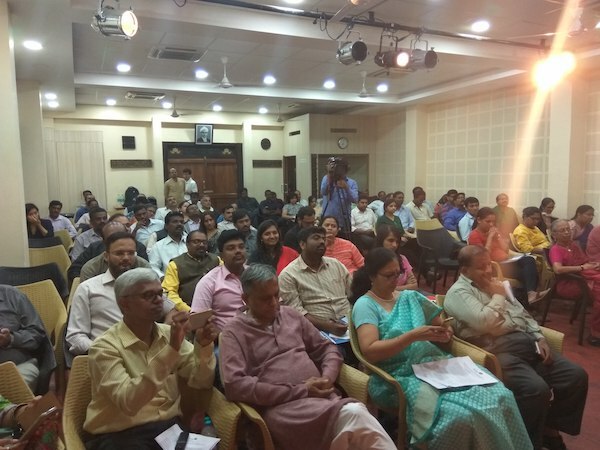 It was also commonly expressed that it is extremely crucial for local governments in India to not only be given more power, but also have increased civic body participation in order to achieve decentralization in the most effective manner. This session organised by B.PAC provided a platform for the representatives of the two nations, as well as the public, to gain knowledge about the two thriving democracies of India and Australia. It also provided for sharing of best practices as well as contesting political, social, and economic realities of both nations by putting forth some very critical factors that affect the same. A learning experience as well as a means of introspection and analysis, ‘The Governance Dialogue’ was a fruitful exercise of intellect and opinion that may guide both nations in improving their functions and practices.